A simple test for you, on episode 15 of the Dr. John Meis Show, to determine WHO you should be learing from. The principal is learning from someone who has already done it, done it successfully, and has a track record of teaching others to do it succesfully. It's that simple! But let me tell you how easy it is to get off track. Tune in now to see what he says about this. Dr. John Meis: On this episode, I have a simple test for you, and the test is to determine who you should be learning from. Dr. John Meis: Here is the principle: learn from someone who's already done it, done it successfully, and has a track record of teaching other people how to do it. It's that simple, but let me tell you how easy it is to get off track. For years, I was in practice and not making any progress because I had bought into a philosophy. The philosophy was beat into me in dental school, and that philosophy was simply do good dentistry and you'll do fine financially. Right? You'll even get wealthy financially. Just do good dentistry. The better dentistry you do, the most successful you'll be. What a crock that was. Yeah, they don't teach that anymore in dental school because that philosophy will lead to absolute disaster. Not that you shouldn't be doing good dentistry. No, you should be doing good dentistry. Not that you should be getting better at doing dentistry, you should be getting better at doing dentistry. But simply doing good dentistry is not enough to be successful, not nearly enough. 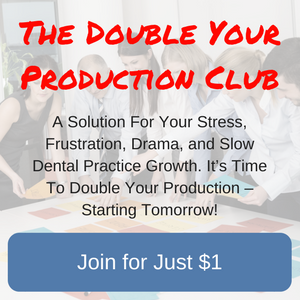 Dr. John Meis: So I was learning this success lesson, this financial success lesson, from a dental school instructor and guess what? 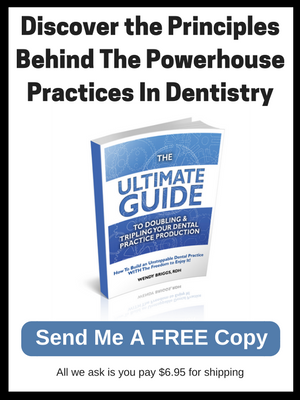 He was financially unsuccessful, his practice had failed, and that's why he was teaching in the dental school. So I didn't ... You would think at that point, I would've learned my lesson. But no, let's go on to the next thing. Dr. John Meis: At one time when I was getting into sedation dentistry, there were online forums and groups to discuss sedation dentistry. And there was one guy who was on there all the time commenting on this post and that post. Should've been a clue to me, right? Because the people that were really successful didn't have time to be posting on there, but I didn't catch it. He was posting on it, posting on it, and frankly, he knew a lot about the science of sedation, he had obviously studied a lot, he was very, very knowledgeable. And then one day, I'm on there and he posted a question and the question was a very, very elementary question and he said, "I'm doing my first case today." I'd been listening to this guy and reading what he had to say, thinking he was an experienced expert, but was he? No, he hadn't even done one case. So fortunately, he was knowledgeable and he did a good job with what he knew, but he didn't have the real life experience, right? Dr. John Meis: The last story I have on this, one of our CEO Mastermind members recently came to me with a problem. And the problem was that he was struggling with this decision on whether to lease a piece of property or to buy the property, and he had been given some advice on doing one or the other. And when I asked him what his end goal was, what his specific outcome that he wanted, he couldn't really tell me what that outcome was. So how could someone have given him advice on whether to buy this or not buy this when there wasn't ... didn't have enough information, there wasn't enough information for that person to give the advice. Dr. John Meis: So, so commonly, people are quick to give advice but don't necessarily have the information, don't necessarily have the experience, don't necessarily have been successful in the past. Right? So, here's what happens in the office. We get all these great ideas from all kinds of people, some of which have never done it themselves, some of which had tried to do it because they thought it was a good idea and failed themselves, right? So we go back to our offices and we try to implement these changes, and they're hard, and our team is resistant because nobody likes to change. And as the change starts to occur, we don't get the results we're expecting. And the whole change process falls flat on it's face. You've been there, I've been there, we've all been there, right? But then what happens the next time you try to institute change in your office, right? Now, the staff is even more resistant and now it's even harder for you, and now it takes even more of your time and your energy to try to make that change happen. Dr. John Meis: You want to make sure that when you are instituting a change in your office that you know it has a very high likelihood of being successful, right? And the best way to do that is to learn from someone who's done it, done it successfully, and has taught other people to do it as well. Dr. John Meis: So if you have any comments on this, please put them on there. If you think this video will help anybody, go ahead and share it so that other people can learn the same lesson. 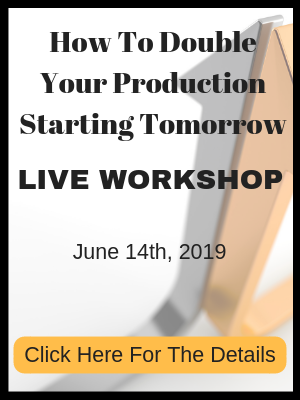 I want to offer you, as I often do, an opportunity to get Wendy Briggs and my Amazon bestselling book, The Ultimate Guide to Doubling or Tripling Your Practice Production. It's very, very simple. I'll buy the book for you, all you got to do is pay the postage. And if you go to yourultimateguidebook.com, yourultimateguidebook.com, go ahead and go there and if you pay the postage, I'll buy the book for you. Dr. John Meis: So I like to end this with something inspirational and so I have a quote: "If everything feels under control, you're not going fast enough." That quote is from Mario Andretti, one of the most famous and most successful American racers. So that's it for this episode. I'll see you on the next Dr. John Meis show.